A Manhattan judge Wednesday ruled that refusing service to a Trump supporter in a bar does not violate the law as the law does not protect against political discrimination. “Plaintiff does not state any faith-based principle to which the hat relates. Here the claim that plaintiff was not served and eventually escorted out of the bar because of his perceived support for President Trump is not outrageous conduct," the judge ruled. The hearing took place after 31-year-old Philadelphia accountant, Greg Piatek, alleged in a discrimination lawsuit, originally filed in March, 2017 with the Supreme Court of the State of New York, that the bartenders at The Happiest Hour in New York City denied him drinks for wearing Trump’s famous "Make America Great Again" (MAGA) hat when he visited the 9/11 memorial with his friends on Jan. 28, 2017. Piatek said he was asked to leave the premises by the bar management who told him “anyone who supports Trump or believes what you believe is not welcome here. And you need to leave right now because we won’t serve you," The Sacramento Bee, a daily newspaper published in Sacramento, California, reported. The original lawsuit claims that Piatek was later removed from the place by bouncers. The case took an amusing turn last week when Piatek’s lawyer, Paul Liggieri, against the motion to dismiss, claimed his client was just “adhering to his closely held spiritual beliefs by adorning the hat in question.” This was after Piatek said wearing the MAGA hat was not just a political statement but a religious symbol. “At the time (Piatek) wore his hat, the election of President Trump was over and therefore (he) had no reason to wear the hat for any political purpose. Rather, (he) wore his hat to pay tribute to the fallen heroes and victims of Sept. 11, 2001,” Liggieri argued in a filing which he provided to Justice David Cohen. In the document provided, Piatek’s lawyer also wrote the hat “was a product of a political campaign, its origins and the public perception of its meaning are not relevant to (Piatek’s) personal religious motivation." After the lawsuit was filed, The Happiest Hour did not respond immediately but later denied Piatek’s story by providing receipts that showed that he spent more than $180 before he was asked to leave. The attorney for the cocktail bar added that the lawsuit was nothing but a publicity stunt. Interestingly, Piatek is not the only one who had similar experiences after choosing to wear the president’s signature hat. 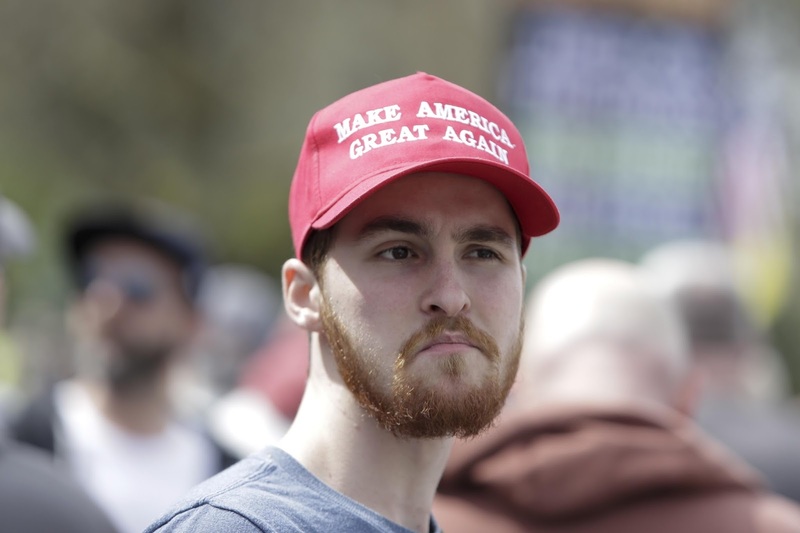 In September 2017, a judge was suspended for 30 days without pay after he wore his MAGA hat to court in Canada. The judge reportedly was at the receiving end of a “torrent of formal complaints," and also faced a disciplinary hearing and possible removal from the bench. In another incident from August 2017, two teenagers were allegedly harassed at Howard University in Washington D.C. for wearing the "Make American Great Again" hats and shirts. “We were getting dirty looks and were completely harassed by these Howard students,” 16-year-old Allie Vandee had said.